1. 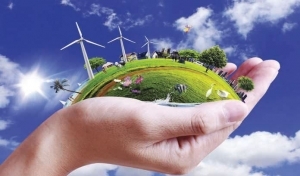 Civil Society Matters to the Sustainable Development Goals, Countercurrents, by Peter Jacques (Visiting Expert), 8 February2019. • Arabic:Al-Watan Voice, 16 February 2019. 2. 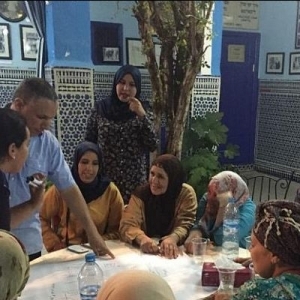 Youth Entrepreneurship by Facilitating People’s Development in Morocco, Global Research, by Yossef Ben-Meir (HAF President), 19 December 2018. • Arabic: Sadaalahdas, 28 January 2019. 3. 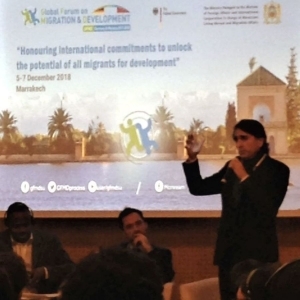 Participatory Development: A Humanitarian Alternative to Migration, Global Research, Global Research, by Yossef Ben-Meir (HAF President) and Manon Burbidge (Graduate Student and HAF Intern), 11 December 2018. 4. A Call for Landscape Architecture for Interfaith Initiatives: From Morocco to Jerusalem, The African Exponent, by Sarah Turkenicz (Graduate Student and HAF Volunteer), 4 December 2018. • Arabic: Voice of Iraq, 28 December 2018. 5. 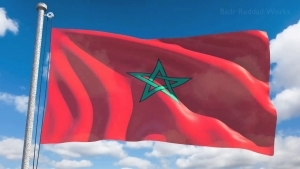 A Moment of Reckoning for Decentralization in Morocco,” Global Research, by Yossef Ben-Meir (HAF President) 28 November, 2018. • Arabic: Al-Watan Voice, 6 December 2018. 6. 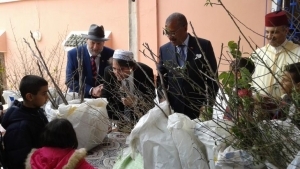 Muslim-Jewish goodwill blossoms in Morocco, Qantara, by Yossef Ben-Meir (HAF President), 19 September 2018. • Arabic: Qantara, 23 September 2018. • German: Qantara, 27 September 2018. 7. المغرب العميق بعيون جزائري, Sotal Iraq, by Brahim Bahmani Rai (HAF Intern), 28 November 2018. 8. A Model to Implement Sustainable Development in Morocco, SAIS Review of International Affairs, by Yossef Ben-Meir (HAF President) 12 October 2018. 9. 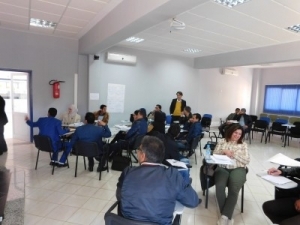 Effective Practices to Sustain Development in Morocco, Scoop World, by Kerstin Opfer (Graduate Student and HAF Volunteer), 11 October 2018. • Arabic: Ach Press, 17 October 2018. 10. 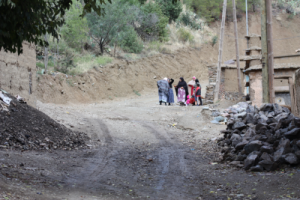 Could Rights-Based Development Encourage Rural Moroccan Women’s Capacity Building, The Fletcher Forum, by Gal Kramarski (Graduate Student and HAF Intern), 24 September 2018. 11. 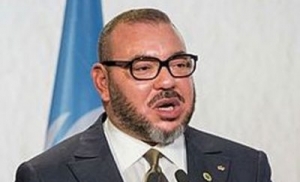 A Model to Implement Moroccan Development, The Fletcher Forum, by Yossef Ben-Meir (HAF President), 13 November 2018. • Libération, 4 September 2018. 12. 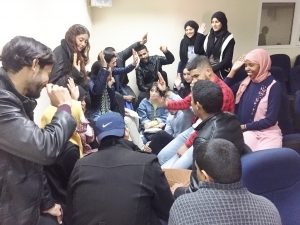 Morocco Provides Safe Spaces for Youth, The New Arab, By Julia Payne (Undergraduate student and HAF Intern), 8 August 2018. • Arabic: El-Bashayer, 1 September 2018. 13. Why Education Isn’t the Only Solution: An Overview of Female Employment in Morocco and the Region, Global Research, by Katherine O’Neill (Undergraduate student and HAF Intern), 24 July 2018. 14. Can the Moroccan Approach Inspire a Development Revolution?, Business Ghana University, by Julia Al-Akkad (Undergraduate student and HAF Intern), 21 July 2018. • Arabic: Al-Bayadar, 1 August 2018. • French: Africa News Agency, 30 July 2018. 15. The Next Step for Cooperatives Is Certification, The McGill International Review, by Amy Zhang (Undergraduate student and HAF Intern), 12 July 2018. • Arabic: Al-Watan Voice, 13 July 2018. 16. The Moroccan Approach: Integrating Cultural Preservation and Sustainable Development, Mediterranean Quarterly, by Yossef Ben-Meir (HAF President), June 2018, 29:2. 17. 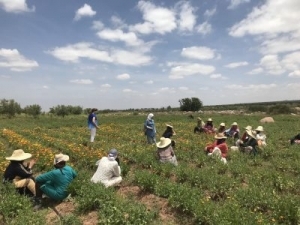 From Transit to Integration: A Moroccan Initiative for Community Development, Morocco World News, by Nathan Park (Undergraduate student and HAF Intern), 31 May 2018. • Arabic: Marrakech 24, 12 June 2018. 18. 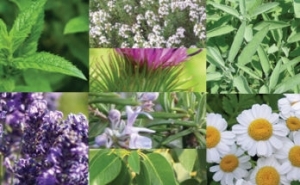 Conserving Traditional Crop Diversity and Wild Medicinal Plants in Morocco, by Abderrahim Ouarghidi (Agricultural Expert), Worldstage, 21 May 2018. • Arabic: Al-Watan Voice, 12 May 2018. 19. Visionaries Then and Now, by Thomas Kimmel (Agricultural Expert), 21 March 2018, HAF Blog. • Arabic: Maghress Cawalisee, 16 April 2018. • French: HAF Blog, 14 November 2018. 20. Promoting human rights to support development in rural Morocco, The Jerusalem Post, by Gal Kramarski (Graduate Student and HAF Intern), 10 February 2018. • French: World News, 16 February 2018. • Arabic: Sadaalahdas, 14 February 2018. 21. Morocco: A Beacon of Hope for Christianity, Scoop News, by Richard Bone (Undergraduate student and HAF Intern), 11 January 2018. 22. Volunteers Create Worlds, International Policy Digest, by Yossef Ben-Meir (HAF President) 29 November 2017. 23. 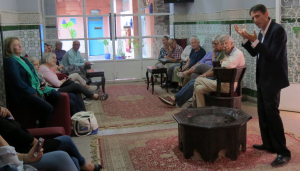 Meeting Warmly Familiar People in Morocco, Maarivi Post, by Yossef Ben-Meir (HAF President), 31 October 2017. 24. Morocco: Addressing Shantytowns in an Emerging Democracy, Eurasia Review, by Wajiha Inbrahim (Graduate Student and HAF Intern), 30 July 2017. 25. 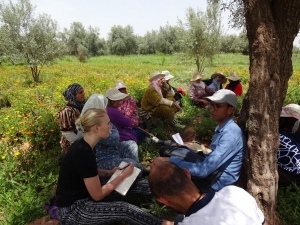 Community Mapping in the Mellah of Marrakech, Modern Ghana, by Richard Bone, (Undergraduate Student and HAF Intern), 13 June 2017. 26. Accelerating Sustainable Development Toward 2030, Participated in 16th Session of the Committee of Experts on Public Administration, New York, HAF Statement by Yossef Ben-Meir, 24-28 April 2017. • French: Libération, 10 June 2017. 27. Coming of Age in Tassa Ouirgane, Modern Ghana, by Mark Apel (Community Extension Expert), 17 May 2017. • Arabic: Al Bayader, 7 July 2017. 28. 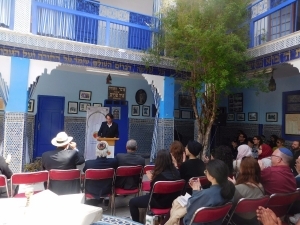 Moroccan Cultural Preservation and the Jewish Experience, San Diego Jewish World, by Yossef Ben-Meir (HAF President), 24 March 2017. • French: Libération, 20 June 2017. 29. Alternative Politics of Renewal, Global Research, by Yossef Ben-Meir (HAF President), 27 February 2017. • French: Libération, 17 June 2017. 30. Participatory Planning of Housing and Community Development, Journal of Business and Economics, by Yossef Ben-Meir (HAF President), January 2017, vol. 8, no. 1, pp. 80-96. – Supporting the Kingdom of Morocco, Eurasia Review, by Yossef Ben-Meir (HAF President), 23 October 2016. – Countering Extremism through Human Development, University World News, by Yossef Ben-Meir (HAF President), Mouhssine Tadlaoui-Cherki (HAF Program Manager), and Kati Roumani (HAF Volunteer), 13 August 2016. – Women and Trees – Empowerment and Planting, The Hans of India, by Mark Apel (HAF-Farmer-to-Farmer Volunteer), May 2016. – Moroccan Decentralization – Challenges to Genuine Implementation, Indigenous Policy Journal, by Yossef Ben-Meir (HAF President), 1 November 2016. – Decentralization in Morocco: An Innovative Solution to Promote HumanDevelopment, Global Innovation Exchange, HAF staff, 2016. – Global Bottom-Up by 2030?, Media for Freedom, by Yossef Ben-Meir (HAF President), 21 April 2016. 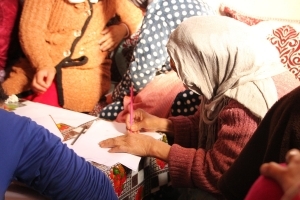 – A Legacy of Peace Corps Service, Friends of Morocco, by Lillian Thompson (HAF-Peace Corps Response Volunteer), February 2016. – Between Despondency and Hope in Morocco’s Oriental Region, The Perspective, by Elle Houby (HAF writer), 29 January 2016. – A Message to a World Rife with Terrorism, The algemeiner, by Emma Tobin (HAF Intern), 8 April 2016. – What is the Value of a Woman?, ZNET, by Emma Tobin (HAF Intern), 30 March 2016. – Growing Trees to Mend Old Wounds, Modern Ghana, by Emma Tobin (HAF Intern), 18 March 2016. 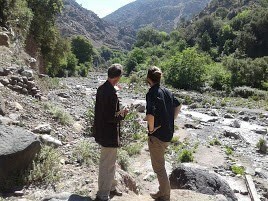 – High Atlas Foundation Partners with Clinton Global Initiative in TreePlanting Project near Marrakesh, Morocco World News, by Colette Apelian (Independent Journalist), 7 February 2016. – On the Cusp of Change – Walnut Distribution in Tadmamt, Al Haouz, World News, by Elle Houby (HAF writer), 16 February 2016. 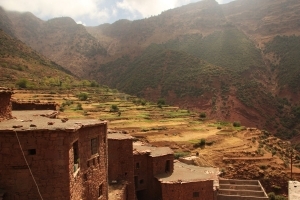 – Paradigm Project for the Future: Location: Morocco, Indigenous Policy Journal, by Yossef Ben-Meir (HAF President), 23 March 2016. – How a Jewish Cemetery is Bringing a Moroccan Village to Life, Middle East Eye, by Mathew Green (Independent Journalist), 7 July 2016. – New Vistas for Students: Sidi Mohamed Ben Abdellah University, Fez,Morocco, Modern Ghana, by Yossef Ben-Meir, 24 November 2016. 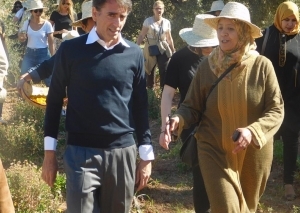 – How to Plant Morocco’s Billion Trees, Scoop News, by Yossef Ben-Meir (HAF President), 1 March 2015. – Implementing the UN’s Sustainable Development Goals, Trans conflict, by Yossef Ben-Meir (HAF President), 15 May 2015. – Meet 2015er: Yossef Ben-Meir, U.N. Dispatch, Mythili Sampath Kumar (staff writer), 18 February 2015. 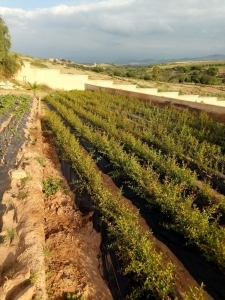 – Figs May Provide Security for Rural Moroccans, World Policy Blog, by Ida Sophie Winter (HAF writer), 12 November 2015. – Figuig: A Troubles Home for Morocco’s Rarest Date, Middle East Eye, by Ida Sophie Winter (HAF writer), 27 November 2015. – Yaoundé: Government, Civil Sector Officials Discuss How Climate ChangeThreatens Water and Development, World stage, by Ida Sophie Winter (HAF writer), 1 November 2015. – Northern Cameroon’s Water Shortage, World Policy Institute, by Ida Sophie Winter (HAF writer), 17 December 2015. – Meet the High Atlas Botanical Superhero, Green Prophet, by Ida Sophie Winter (HAF writer), 6 June 2015. – Lending Land to Enhance Life, Scoop News, by Kati Roumani (HAF Moroccan Decentralization: Step by Step, Jerusalem Post, by Yossef Ben-Meir (HAF President), 6 August 2015. – Austerity or Stimulus? Participatory Development Offers a Third Way, Belfast Telegraph, by Yossef Ben-Meir (HAF President), 9 February 2015. – A Fresh Template for a Changing Reality, World Policy Institute, by Yossef Ben-Meir (HAF President), 03 September 2015. – Happy Tears: Human Connection Leading to Human Development, Morocco World News, by Yossef Ben-Meir (HAF President), 23 March 2015. – Human Development in the Arab Spring: The Implications of Decentralization for Societies in the Context of Human – Development, Foreign Policy Journal, by Yossef Ben-Meir (HAF President), 26 June 2015. 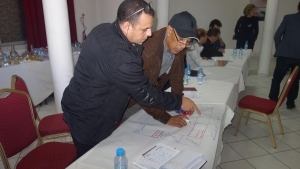 – Moroccan Decentralization: Step by Step, (بالعربية), Sot al-Iraq, 16 January 2015. – Fondation du Haut Atlas, du Million au milliard, (Article in French), Medias24, 5 February 2014. – One Million Trees Planted in Morocco. DIPNOTE, the U.S. Department of State Official Blog, 23 January 2014. 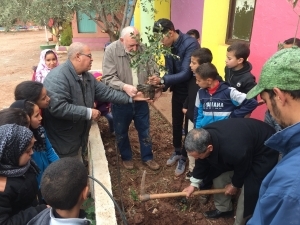 – The planting of HAF’s 1 millionth tree at Agdal school in Essaouira Province Le Journal Télévisé sur 2M (from approx. 24:23), 19 January 2014. – Lier démocratie et développement durable au Maroc, Libération, 18 June 2011. – Régionaliser le Maroc, » Libération, 28 January 2011. – Morocco’s Model: Uniting Democracy-Building and Sustainable Development, Eurasia Review, 14 March 2011. – The Decentralization of a Monarchy, Hurriyet Daily News and Economic Review, 31 January 2010. – Les elections locales et decentralisations au Maroc, Maghreb Observateur, 22 July 2009. 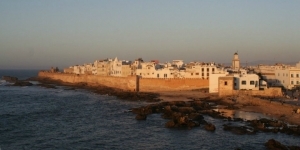 – Morocco’s Local Elections and Decentralization, The Tripoli Post, 24 July 2009. 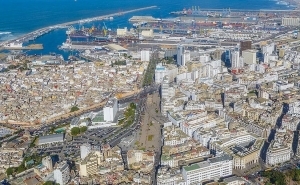 – Opportunities for Decentralization in Morocco, Dissident Voice, 1 November 2009. – L’INDH, defi majeur du Maroc moderne, Diplomatic Pouch, La Gazette, 16 January 2009. – Decentralize Conflict Areas in Middle East and North Africa, News Central Asia, 16 January 2008. – Haut du formulaire: La décentralisation en Palestine, Irak, et au Sahara marocain, Liberation, 30 January 2008. – Les organisateurs de communautés, un état d’esprit, Liberation, 26 September 2008. – Community and Economic Crisis, The Post, 23 October 2008. – Rapport final sur l’alliance des civilisations: Un abÎme à comble, Perspectives Online, 1 January 2007. – Morocco’s IER and INDH Experiences Serve as Model, for Iraq, US Academic, Maghreb Arabe Presse, 27 January 2007. – Reforming Morocco from the Ground Up, The Globalist, 16 January 2006. – INDH : Un modèle pour les autres pays de la region, Al Bayane, 19 January 2006. – Gagner la guerre des idées par le développement communautaire, La Gazette, 30 January 2006. 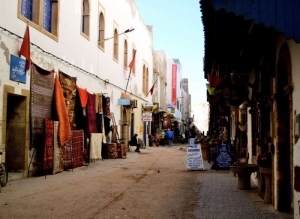 – Prospects for Morocco to 2025, Al Bawaba, 15 February 2006. – Perspectives du Maroc pour 2025: Un potentiel énorme, Al Bayane, 22 February 2006. – Millennium Challenge and Morocco, Muslim World Today, 31 March 2006. – Le Millennium Challenge Account et le Maroc, Africa Time/Maroc, 14 April 2006. – Create an Historic Moroccan-American Partnership: The Millennium Challenge Account and the National Initiative for Human – Development, International Journal on World Peace, June 2006. – Création d’un partenariat historique américano-marocain, Maroeains Résidant à IlEtran er, 27 September 2006. – Participation au développement et l’Alliance des Civilisations, All Africa, 5 December 2006. – ALE: Quelle stratégie de développement rural? Aujourd’hui le Maroc, 28 January 2005. – A Moroccan Rural Development Strategy for a Free Trade Era with the United States, Morocco Times, 31 March 2005. – Rendre le développement communautaire prioritaire, LeMatin, 19 April 2005. – Les cinq stratégies de la participation publique au développement durable, LeMatin, 23 June 2005. – Initiative Nationale» du Maroc: Son importance et ses defies, Tanmia, 11 September 2005. – Morocco’s « National Initiative »: Its importance and challenges, Al Bawaba, 9 November, 2005.